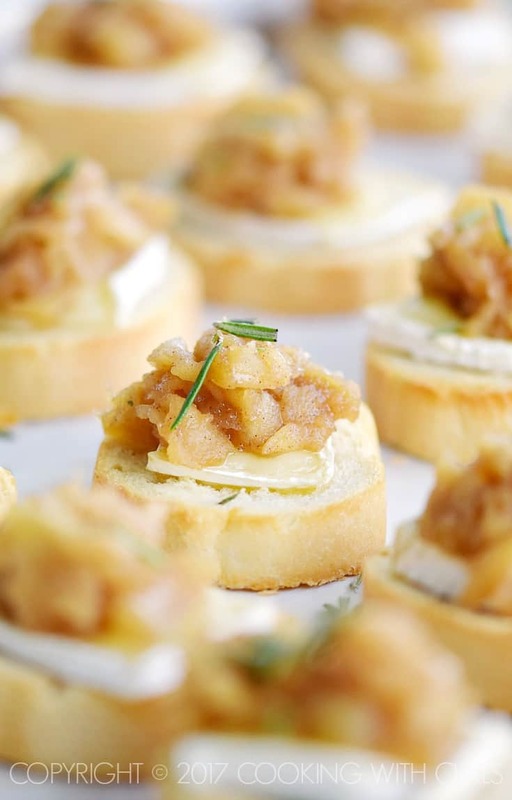 These Apple Compote and Brie Crostini are so delicious, your guests will be fighting over them! Not in a knock-down, drag out kind of way, but these sweet, tart, crunchy and addictive bites of heaven will leave your party guests unwilling to share. In other words, you might want to make a double batch…..
Preheat oven to 425 degrees. 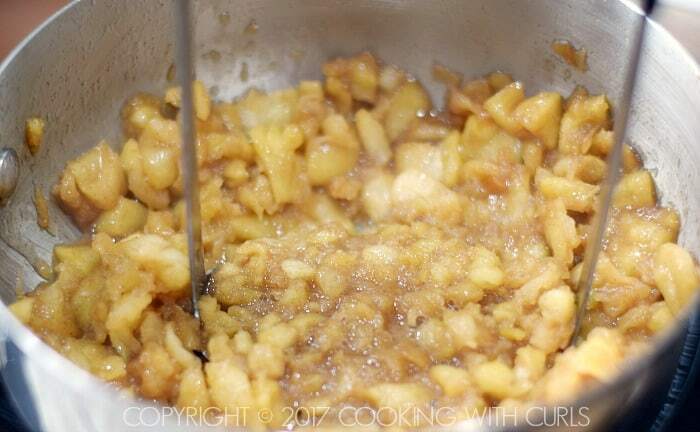 Combine the diced apples, butter, brown sugar, and cinnamon in a medium saucepan…..
Simmer for 25 to 30 minutes, until the apples soften enough to mash into a rough paste…..
Leave some chunks for texture, we are not making apple sauce! Remove from heat and allow to cool to room temperature. While the apples are cooking, place the baguette slices on a parchment lined baking sheet and bake until toasted, golden brown…..
Lower the oven temperature to 350 degrees. 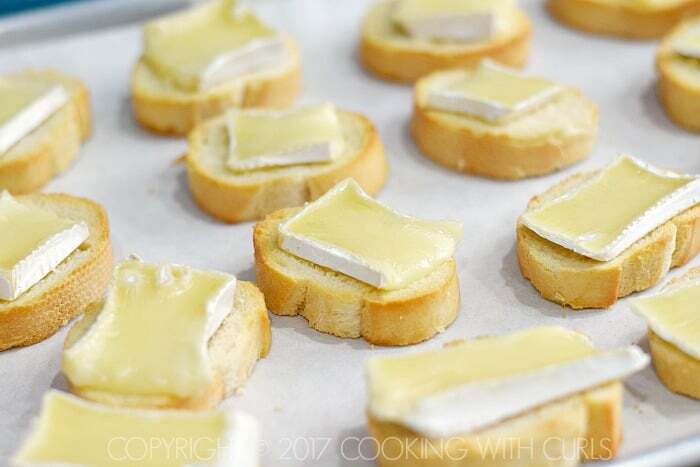 Top each crostini with a small slice of Brie. 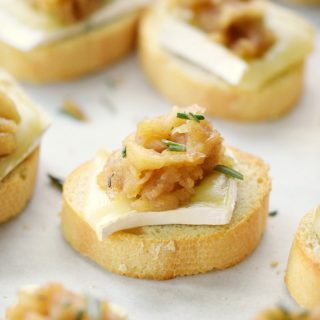 Place in the oven and bake for about 5 minutes to soften the Brie…..
Top each crostini with a spoonful of apple compote, and sprinkle with chopped rosemary…..
OMGosh, these are insanely delicious!! The Brie is very mild, and super soft. The rosemary gives the Apple Compote and Brie Crostini a boost of unexpected flavor that blends perfectly with the apples!! If Honeycrisp apples are not available, substitute Sweet Tango or Gala. Refrigerate any leftovers. 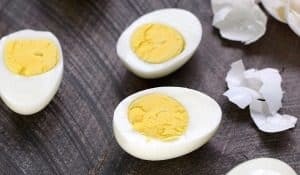 They can be reheated in the microwave for about 5 seconds each to bring them back to room temperature. Yes, you leave the rind on the Brie. Weird I know, but you won’t notice it…at least I didn’t. 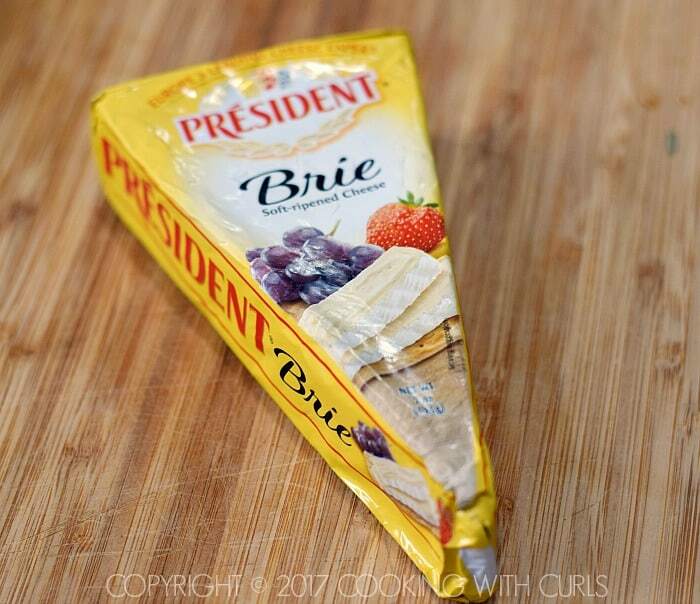 I purchased this wedge of Brie…..
and sliced it straight out of the refrigerator. It is very soft, and you slices will gradually get larger as you move towards the end….. If your slices are too large, simply cut them in half to get them to fit. 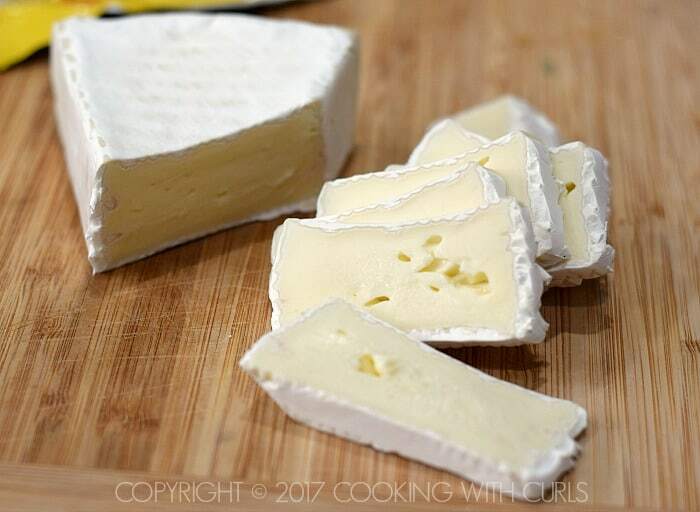 😉 If you purchase a round Brie, simply cut it into wedges then slices. 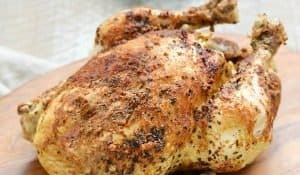 Check out my other recipes for more delicious Appetizers and of course Cocktails for your party guests to enjoy! 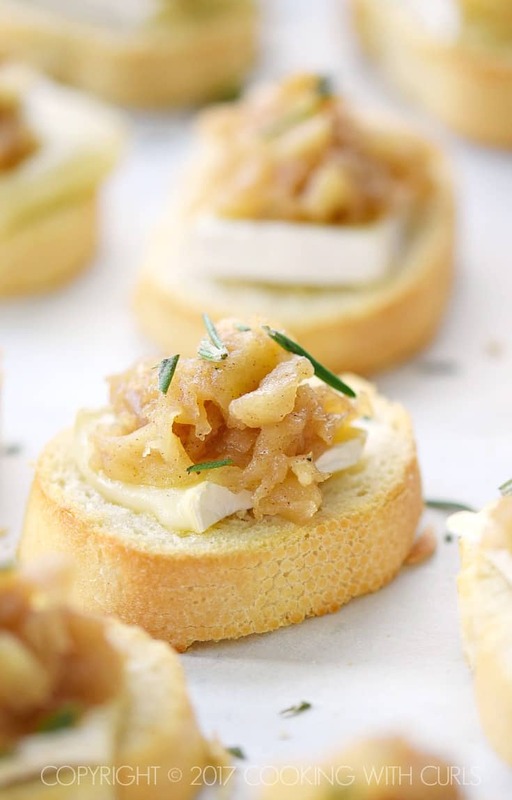 These Apple Compote and Brie Crostini are so delicious, your guests will be fighting over them! 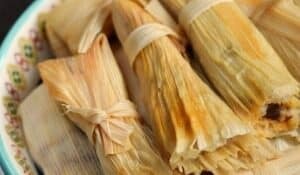 They are tart, sweet, crunchy, and addictive. Preheat oven to 425 degrees. 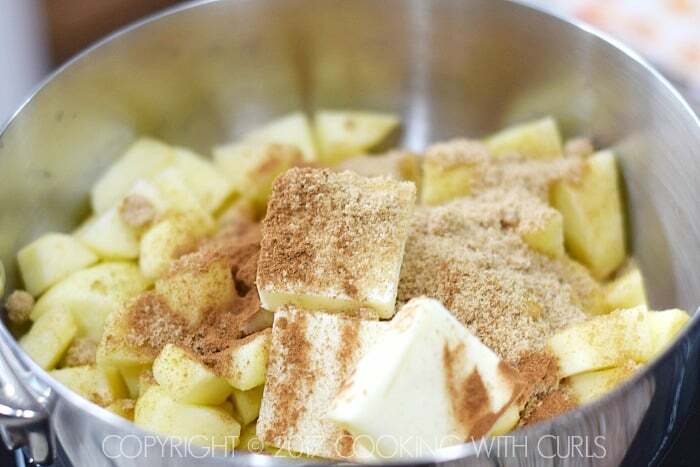 Combine the diced apples, butter, brown sugar, and cinnamon in a medium saucepan. Simmer for 25 to 30 minutes, until the apples soften enough to mash into a rough paste. Leave some chunks for texture, we are not making apple sauce! Remove from heat and allow to cool to room temperature. While the apples are cooking, place the baguette slices on a parchment lined baking sheet and bake until toasted, golden brown. Set aside. Lower the oven temperature to 350 degrees. 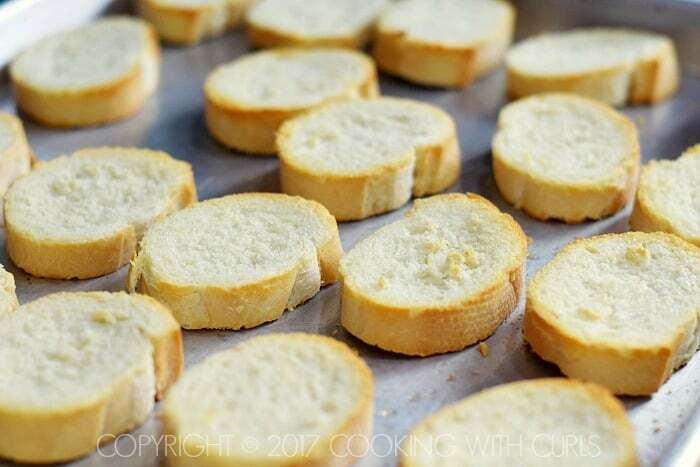 Top each crostini with a small slice of Brie. Place in the oven and bake for about 5 minutes to soften the Brie. 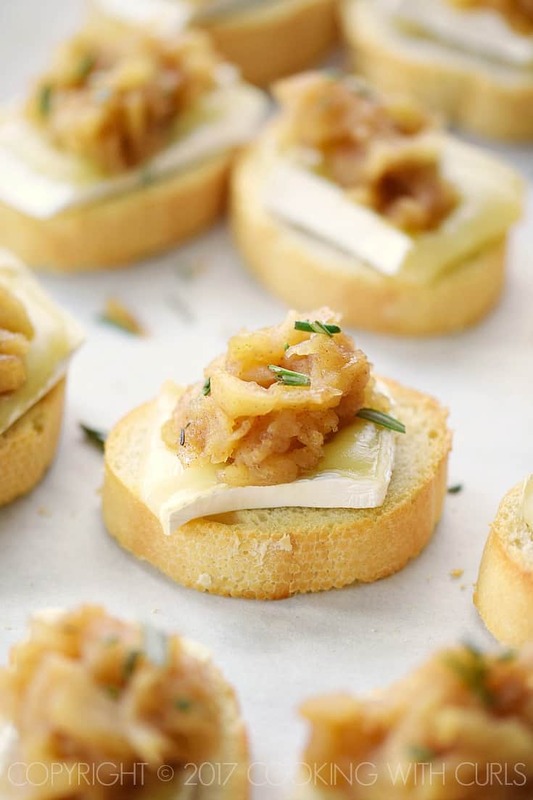 Top each crostini with a spoonful of apple compote, and sprinkle with chopped rosemary.